Amigo’s sire is Niagara. Niagara is now competing at 1.50 m level in the US, he is known for his extremely good working attitude, especially in the ring. Nigara’s sire Libero H is world famous: winner of 51 international competitions!, winner of 10 world cup comp., etc. etc. 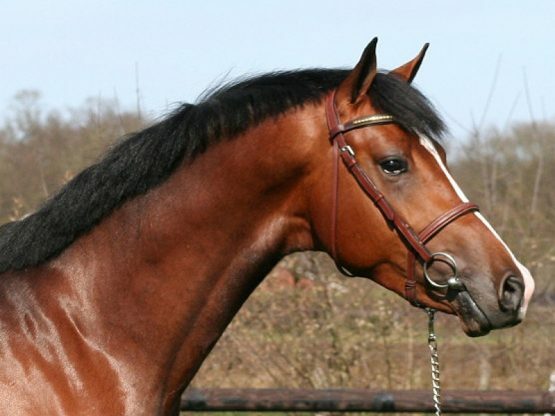 Amigo’s dam sire is Faust Z. 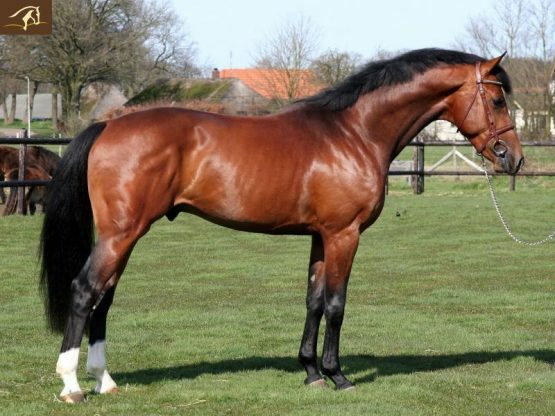 He was one of the last stallions from the famous Furioso II out of Reurika Z who was by Ramiro out of Heurika Z. Heurika Z, grandam of the highest WBFSH scoring horse ever Ratina Z, is the founding dam of one of the most successful and famous female lines in the world. Faust Z was the 3rd highest WBFSH scoring international jumper (behind For Pleasure and Heisman) of Furioso II for the years 1990-2000. 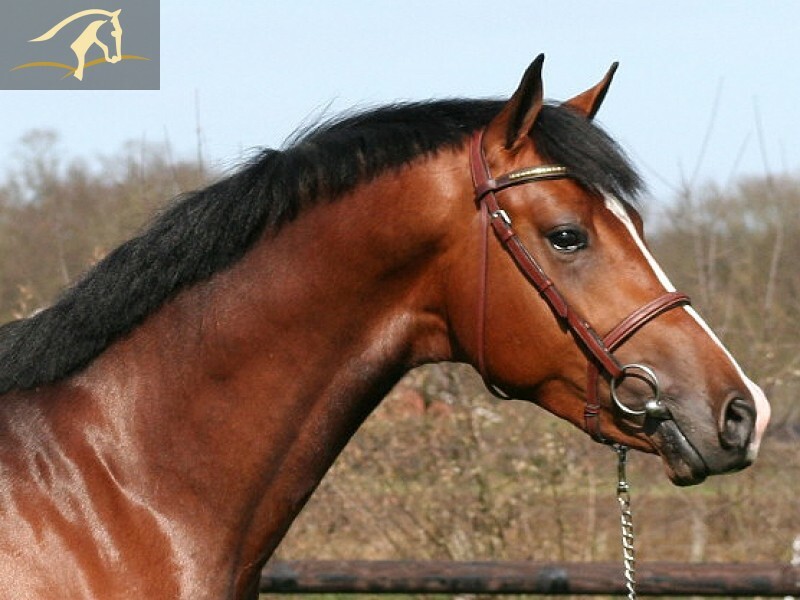 He is a very good mover and produces dressage (approved stallion Fortuin Z) and jumpers. 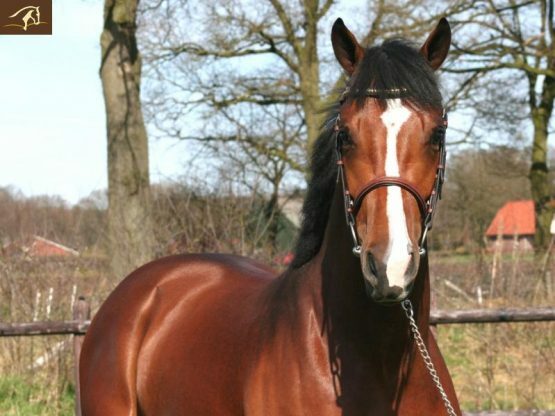 His approved stallions are Libro, Perion, Fortuin Z and Farcetto. Third line Silvano (Le Mexico), fourth line Hanassi. Digital x-rays available. 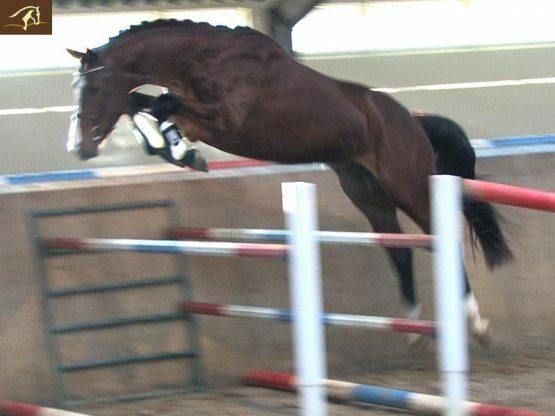 Extremely promising horse with a great temperament.